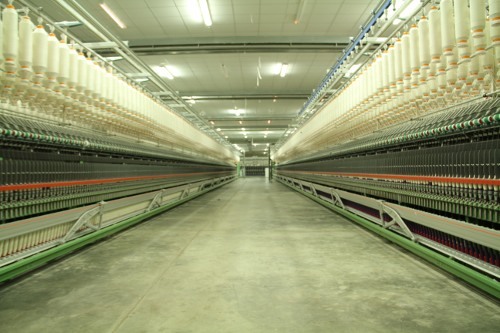 • Spinning department has two lines open end and Ring line. Designed daily capacity of 10 tons. (7 tons for ring line & 3 tons for open end). Shield, Feeder, Frame-REITER-(SWITZERLAND), Winding, Doubler, Twister-MURATEC – (JAPAN), Vision shield –JOSSI-(SWITZERLAND), Steamer-ZERROLA-(SWITZERLAND).